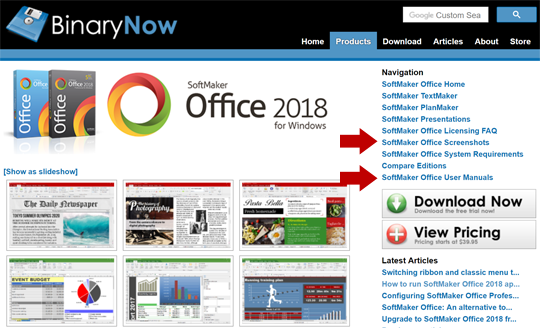 Online screenshots slideshow was also updated with the latest SoftMaker Office for Windows 2018 screenshots. You can visit slideshow, and download SoftMaker Office trial from the above URL. If you require additional consultation, please contact our support department by filling up this form or e-mail us at support@binarynow.com.